In observation of Veterans Day our office will be closed on Monday November 12, 2018 our regular hours will resume on Tuesday November 13, 2018. Pippin Law Firm will be closed on Monday, September 3, 2018, in observance of Labor Day. Have a safe and fun long weekend! All of us at Pippin Law Firm wish you a Happy 4th of July holiday. Our office will be closed on July 3rd at 12:00 pm and July 4th. We will reopen on July 5 at 8:00 a.m.
For your convenience, we have now set up another way to pay. You can now pay your bill online with a credit card through our billing system. Please contact our office at 701-572-5544 if you would like to receive e-mailed invoices and set up online payments. Pippin Law Firm has an immediate opening for an attorney with 3+ years of family law experience. Strong research, writing, and oral advocacy skills are preferred. North Dakota bar admission required (or ability to meet admission requirements.) Salary dependent upon experience. Please send resume and cover letter to Pippin Law Firm via mail at PO Box 1487, Williston, ND 58802 or via e-mail at office@pippinlawfirm.com. Applications will be held in confidence. Pippin Law Firm will be closed on Friday, March 30, in observance of the Easter holiday. We wish you and your family and friends a happy Easter! 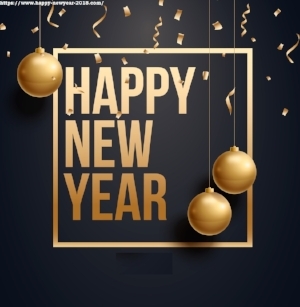 Pippin Law Firm wishes you a Happy New Year! Our office will be closed on New Year's Day, January 1, 2018. Happy Holidays from Pippin Law Firm! Warm wishes to you and your family for a happy holiday season, from everyone at Pippin Law Firm. Our office will be closed on December 25 and 26th to allow for our team to spend the holiday with friends and family. 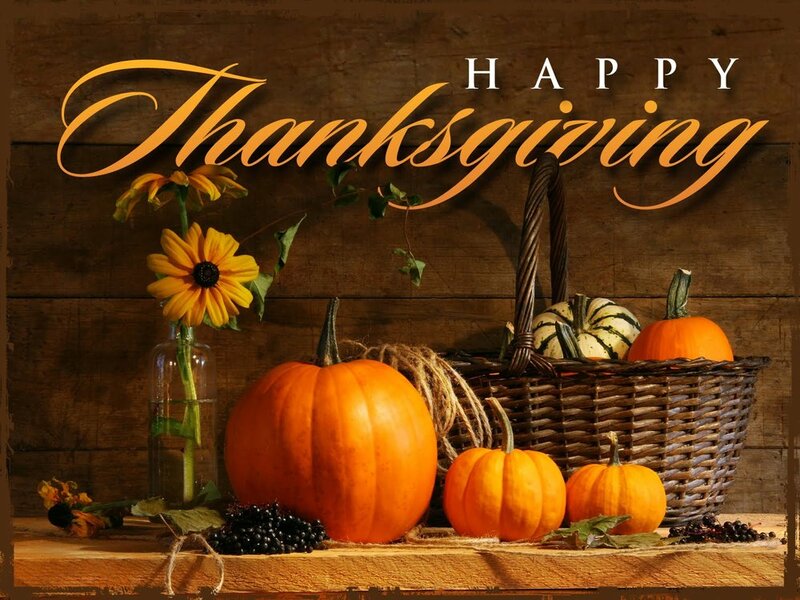 We hope you had a Happy Thanksgiving and continue to have an enjoyable holiday weekend with friends and family. We are thankful, as always, for the opportunity to serve our clients. Our office hours for the Thanksgiving holiday are: Wednesday, Nov. 22: 8:00 - 12:00 pm, Thursday, Nov. 23: Closed, Friday, Nov. 24: Closed. Last Will and Testament: A Last Will and Testament not only provides who receives your assets upon your death, it also more importantly provides for the guardians of your children should you die while any of your children are minors. Even though most of us recognize the need for having a Last Will and Testament, more than half of us do not have one. The excuses for not having one go from putting it off to a deep-rooted fear of death. Of course, not having a Last Will and Testament is not going to prevent the inevitable from happening. The only difference is whether you will have taken care of your assets and family properly after you are gone. Dying without a will, which is called “intestate,” can have tragic consequences which can be avoided by having even the most basic of wills prepared. · Changes to your family or loved ones, such as the birth of grandchildren, a divorce or a marriage, the coming of age of children, and death of a family member. · Changes in assets, such as properties, businesses, or retirement plans. · Changes in estate and tax law so you can ensure that you and your heirs are able to get the most out of your Will. · Changes in personal circumstances. You might want to include specific wishes on your funeral for example. Or perhaps you want to change the executor of your Will to reflect changes in relationships. Advanced Directive : Sometimes referred to as a Living Will, this legal document allows you to control whether you want, in the event your treating physician indicates that your condition is terminal, to be kept alive by life sustaining equipment, nutrition and hydration. After you prepare this document it is wise to provide a copy to your treating physician, local hospital, and loved ones so that they know of your wishes. Simply put, it does no good unless your loved ones and medical professionals are aware of your wishes. Durable Power of Attorney for Health Care: This document allows you to appoint others to make health care related decisions on your behalf, if you are unable to do so yourself. For example, if you are in a car accident, are elderly and perhaps have dementia or simply are not thinking clearly. Typically clients appoint their spouses, children or loved one as their agents, but anyone can serve. Again, like the Advanced Directive discussed above, after you prepare this document it is wise to provide a copy to your treating physician, local hospital, and loved ones so they know of your wishes. Durable Power of Attorney for Financial: This document allows others to act on your behalf regarding financial and legal matters. For example, let’s say, God forbid, you are in a terrible car accident and remain in the hospital for months on end. Who pays your bills? Who signs your tax returns? Who signs other legal documents? There are two kinds – a general power of attorney and a “springing” power of attorney that only becomes effective if you are medically certified as being incapable of managing your personal and business affairs. Your legal advisor can explain the differences in more depth. As with the other documents mentioned herein, this document is crucial to protect you and your loved ones in the event you can no longer manage your personal or business affairs. The Pippin Law firm has several attorneys that practice in the estate planning arena. Feel free to call the office at 701-572-5544 if you have any questions or would like to schedule a consultation with any of our estate planning attorneys. This article is only intended to provide general information and does in any way constitute legal advice. Please contact your legal professional to assist you in these matters. If you own a business, whether as a partnership, a corporation, or a limited liability company, you need to make sure your business can keep running in case one of the owners is no longer able to be part of the company. The easiest way to do this is with a buy-sell agreement. A buy-sell agreement is a contract that outlines what happens if a business owner needs to transfer his or her interest in the company. The events that cause an owner to need to transfer their interest should be clearly set out in the agreement, and can be anything the owners agree to. For example, the agreement would typically state that if an owner no longer wishes to be part of the business, dies, gets divorced or declares bankruptcy, their interest in the business would be offered to the other owners at agreed upon terms set out in the agreement. The agreement can also be even more specific, stating that an owner who reaches a certain age must sell their interest in the business and must retire, or that an owner who doesn’t work in the business a certain number of hours must sell their interest to the other owners who are working that much. The agreement should also state who can purchase the interest. If a business has two owners, the answer is pretty obvious, but for larger businesses, the agreement should set out eligible purchasers. The point of a buy-sell agreement is easy to understand. Business owners who have put hours of time and money into a company need to be able to control who else owns an interest in that company when certain events, such as the death of an owner, occur. A carefully prepared buy-sell agreement can keep a company from falling apart in tragic circumstances, and is an essential document for any business with multiple owners. When is it okay to leave a child home alone? The issue of when children can remain home alone often comes up in family law cases. 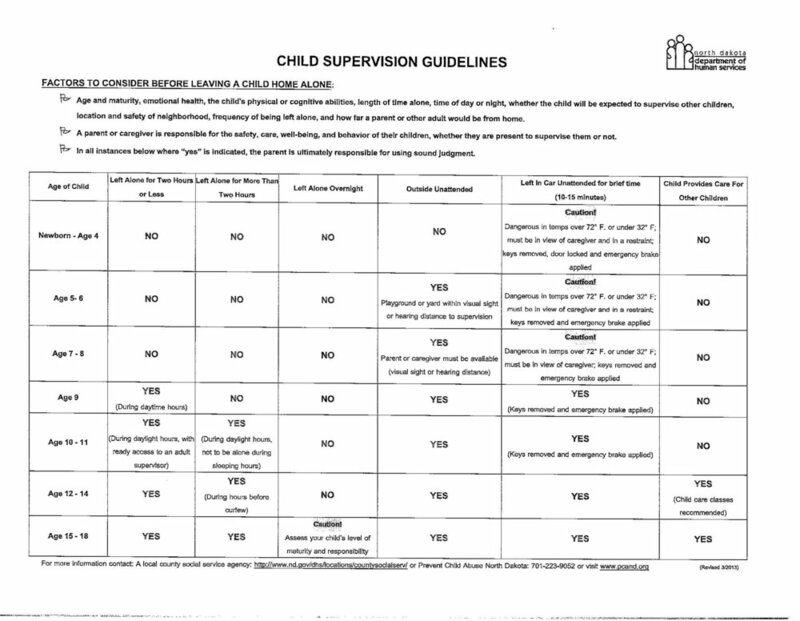 Below are the guidelines from the North Dakota Department of Human Services, which should help guide your decision. A family farm is a business. But, when it's time to pass the torch, we often treat the transfer differently than we would, say, a family restaurant. With over 70% of the nation's farms set to change hands in the next 15 years, it's essential for farm families to ensure a sound plan is in place. Although a family farm is no doubt a sentimental place that may have been in the family for generations, it's also someone's livelihood. If a family member is willing to take over operations of the farm, they need to have inside knowledge of the operation. Think of it this way: If you owned a restaurant and your child worked there growing up, you wouldn't expect him or her to take over the entire restaurant without some training. Likewise, if you want to set up the farm to thrive for generations to come, your successor needs to be involved in the financial, record-keeping, and general decision-making aspects of the operation. This can be difficult in a family dynamic, where members of the younger generation might inherently feel their role is "child/grandchild" rather than "business partner." Still, once the decision is made that an heir will be taking over, for the success of the farm, his or her role has to essentially be that of a senior vice president of the business. 2. "Fair" doesn't always mean "equal"
The default plan for many farm families is to transfer ownership of the farmland to the next generation in equal shares. This outwardly seems to be the fair option. After all, why wouldn't each child get a share in the property that's been in the family for years? However, if the farm is operated solely by one of the heirs, it might not make sense for the non-farming heirs to inherit a share of the farmland. Such a transfer can have the effect of essentially forcing a partnership on the next generation. If you do want both farming and non-farming heirs to have a share in the land, it's a good idea to have a plan in place for sharing profits and losses of the farming operation to ensure that "equal" IS fair. You may have a silent agreement as to who will operate the farm in the future, but there are too many details to leave your plan unwritten. Who will have record title to the land itself? How will title be held? What about the machinery and equipment? When will the actual transfer take place? Does your current estate plan reflect all of these wishes? Don't leave the next generation to guess about the answers to these questions. Several farming seasons could pass before these issues are all fully resolved if legal action is required. "My kids all get along. They can agree on who gets what once I'm gone." Unfortunately, these are famous last words in estate planning. It may feel morbid to discuss what will happen when you figuratively "buy the farm." However, ignoring the topic is only likely to create discord and conflict among remaining family members. Generally, the last thing anyone wants is for family relationships to fall apart due to fights over an estate. Yet this frequently happens in situations where parents fail to plan. When you throw a family farm into the mix, the situation only worsens. The odds are slim that the farm will continue to operate successfully in the midst of a bitter estate dispute. The process of planning can seem daunting. It's not something that can be completed in an afternoon. It may need to be dynamic as time passes. There are several resources to help guide you in the right direction for you and your family. University extension offices nationwide offer succession planning assistance. Likewise, insurance companies, accountants, and attorneys may also offer guidance. The International Farm Transition Network has put on workshops nationwide training a wide array of individuals in all fields as certified farm succession coordinators. Additional resources will likely continue to become available as farm families and the professionals who support them continue to recognize the increasing need for assistance in the farm transition process.